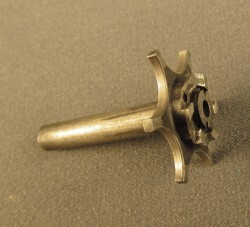 Description: Stripped bolt with no internal parts. 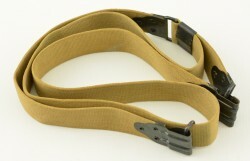 Markings are "6528287-SA/Z-2". Condition is very good. 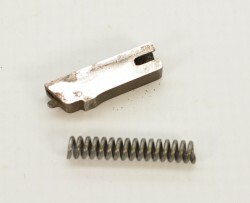 Description: This rebound slide and spring are in excellent used condition. 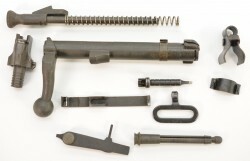 Great parts for a project. Description: This ejector is in very good condition with 60% blue. Serial number is 134144. 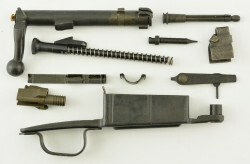 Lot of Springfield Model 1903 & 1903 A3 Small Parts. 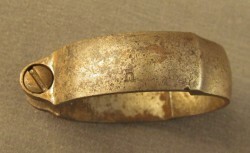 Description: Front band, marked with small "U" on side, showing grey patina with some very light pitting.